The highly anticipated update to the S.H. 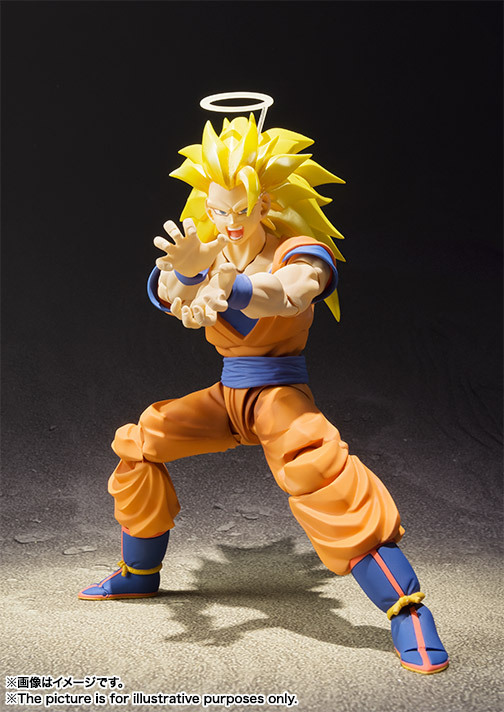 Figuarts Dragon Ball Z – Super Saiyan Son 3 Goku is set for release this September. Pre-orders have not yet gone live for the figure, but Tamashii Nations has released a few new photos to hold fans over for a bit. 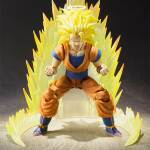 The photos reveal that the new Goku figure will include at least four interchangeable portraits. An assortment of interchangeable hands will also be included. The S.H. 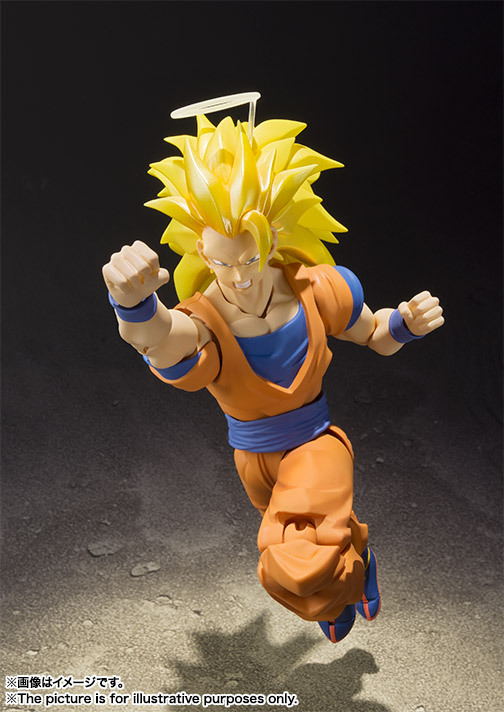 Figuarts Super Saiyan Son 3 Goku is priced at 6,624 Yen (about $57 USD). We will update with further images and details when they are available. Read on for the new photos. As it should be released. That first figure was a bust. This looks great if you're a fan of this form. i dont know man. I am a fan of this form, but there's sth bugging me about that face and those bulky arms. The eyes seem too close to each other or sth and I believe he was somewhat leaner in the anime (in his first appearance anyway). But maybe its the angle. At the moment, I am not too impressed except from the clean paintjob. I am a fan of this form, but there's sth bugging me about that face and those bulky arms. 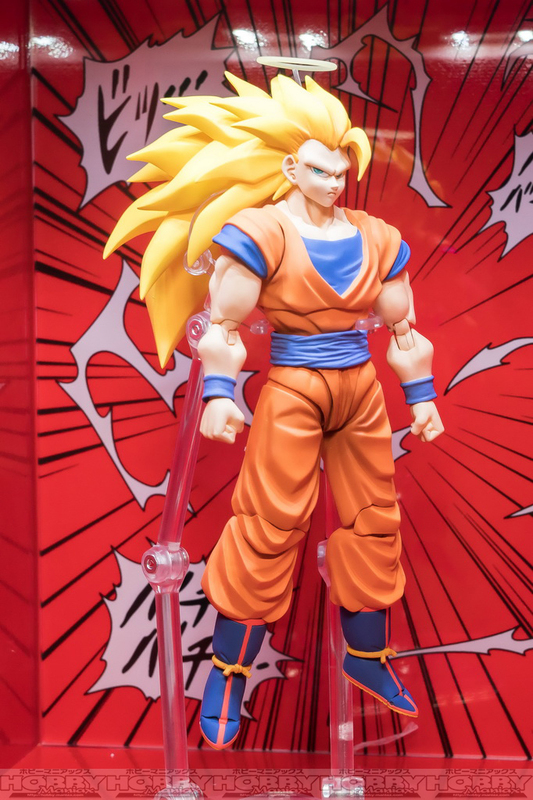 Oh great, now we can start buying every version of Goku all over again with the new joint system. I'm glad this is coming out, I can't wait for this guy. I'm late the this line of figures for the original releases. But he totally looks great, better paint scheme and everything. New figure. You can easily tell with how different the joints are, especially in the legs. He looks great. Glad I missed out on the original now. At the double the price, take away the accessories, and less sculpt swaps!! Great, now if we can only get to a final form Frieza redo...and Super Saiyan God Goku...and Bardock...and Super Saiyan 4 Goku...and Gogeta...and Hit...oh, and any form of Buu...and Db Super Trunks...this is gonna take a while. You know what would be nice? If they released the characters they have shown off like Kid Goku, Jaco, Boo, Tenshinhan, Yamucha, etc. Is this just a re-release of the original figure? No, it's a new mold. So looks incredible for what I was expecting... but is that halo removable? It was on the old one and the way it attaches to the head looks very similar so I see no reason why it shouldn't be removable on this one too. SSJ3 seems to get so little love, glad the redo is getting a release, and this pictures make it look really solid. Will definitely be picking it up. I just hope they use the time and revisit the sculpt before releasing it someday. The prototype mold we saw is outdated at this point. The upper body was pretty solid. The shoulders in particular look like what's been coming out since Awakening Goku. The lower half, yeah I hope they use the new molding, I don't see why they wouldn't though. Actually going back and looking, there's pictures with a different knee style, closer to what Darth Maul was. Hips are the old style though. Personally I like those knees. Over the old and what they're doing now. The newest hips though are far superior in function and the look isn't too bad on the baggy pants. I highly recommend the Figure-Rise version. 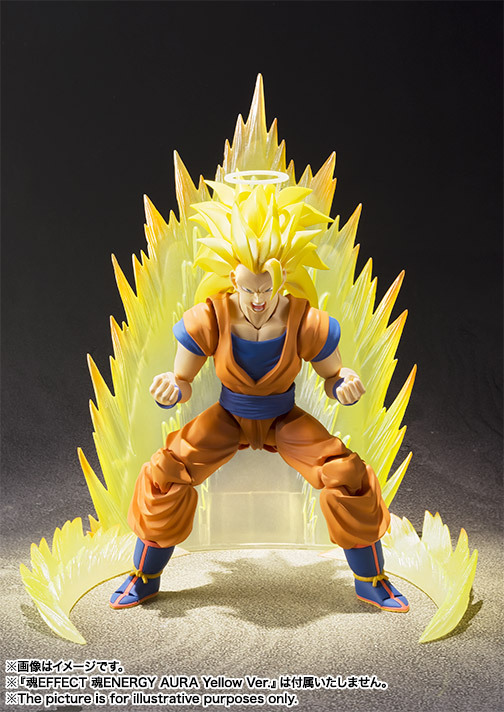 SSJ3 looks great. Will definitely replace my bootleg version with this. 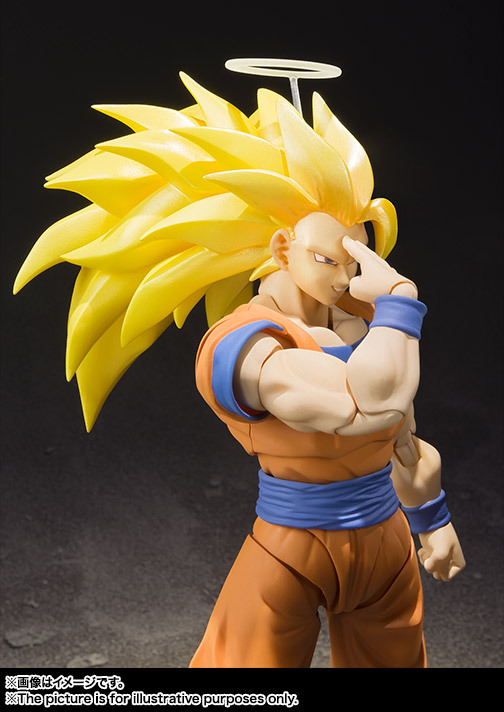 I hope this figure is compatible with previous Goku releases for head-swapping. That would be the main draw of this new body style, for me.